In 1980, it all began for the LaFontaine family. Expanding to 34 franchises and over 15 locations, LaFontaine Automotive Group has expanded throughout southeast Michigan. As of 2017, LaFontaine has continued their growth by opening its first Kia dealership in Ann Arbor, MI. Whether you are looking for a new or used Kia car, truck or SUV, you will find it here. We have helped many customers from Ann Arbor, Chelsea, Dexter, Jackson, Manchester, Milan, Saline and Ypsilanti find the Kia of their dreams! We know that prospective customers are extremely well-educated when researching their next vehicle. LaFontaine Kia of Ann Arbor has made it easy to get all the available vehicle information so you can spend less time researching and more time enjoying your purchase experience. We offer a large selection of new and used vehicles, just for you. Come see us for a Kia Cadenza, Forte, Niro, Optima, Optima Hybrid, Rio, Sedona, Sorento, Soul, Sportage and Stinger. LaFontaine Kia of Ann Arbor has vehicle specialists for the inventory on the lot, as well as trained service staff to provide the highest levels of customer satisfaction. Looking for repair services for your vehicle? LaFontaine Automotive Group also offers 5 full-serviced body shop and collision centers. Locations include the Fenton Collision Center, Highland Collision Center, Lansing Collision Center or Ypsilanti Collision Center. 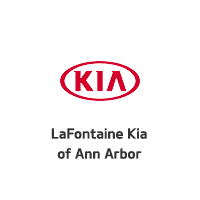 Home of The Family Deal, LaFontaine Kia of Ann Arbor is always looking to help with any service you may need. Call today to schedule your next appointment and we’ll show you what The Family Deal is all about. The LaFontaine commitment to customers, staff, and local communities are demonstrated by active participation and contributions to numerous non-profit organizations, educational institutions, and charities throughout southeast Michigan. The combination of both the mission and core values provides the basic foundation of our promise to you… To treat every customer like they are members of our family. Ready for a test drive? Visit our LaFontaine Kia of Ann Arbor, Ann Arbor MI today.